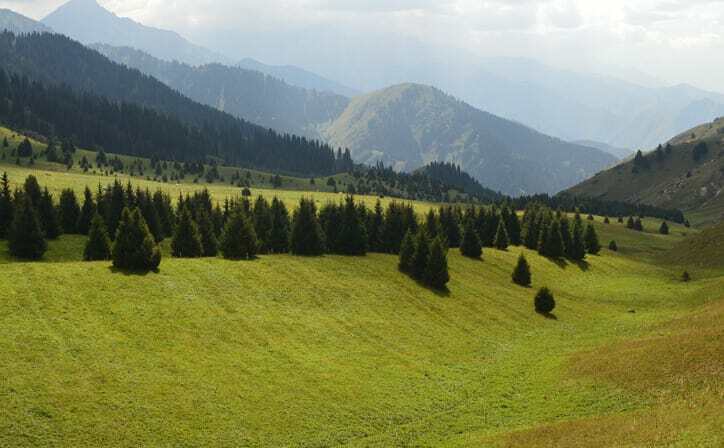 Kazakshtan is a culturally rich country, with natural landscapes in Almaty that take your breath away. After landing at the Almaty international airport, meet our guide who will take you towards your hotel in Almaty. 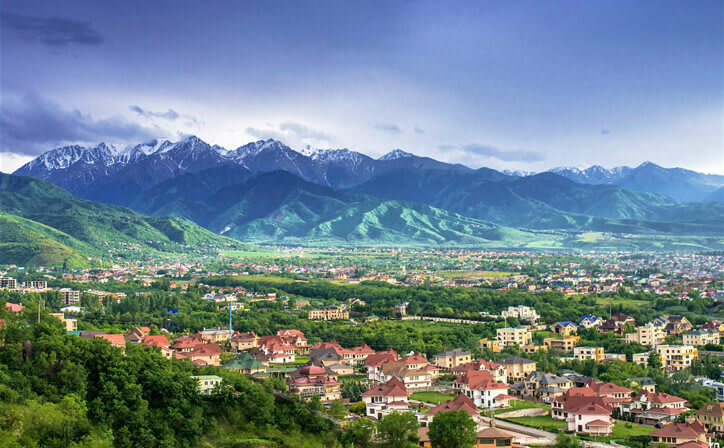 Almaty is situated at the base of Tien Shan Mountain range and is the economic, shopping and tourist hub of the country. You have the evening at leisure after checking into your hotel. We would recommend walking down to First President’s Park which will delight kids and adults equally. This national park is set against a backdrop of a mountain and has fountains, water features, beautiful flowers and trees. The entrance to this park is absolutely free of cost and is a perfect day to unwind and soak in the beauty of Almaty after your morning flight. You and your family can have a wonderful photo-session here. Post this, we recommend walking down to one of the restaurants nearby for a genuine Kazakh cuisine. Overnight at the hotel. Have a scrumptious breakfast at the hotel, and be ready to leave for the city tour in the morning. 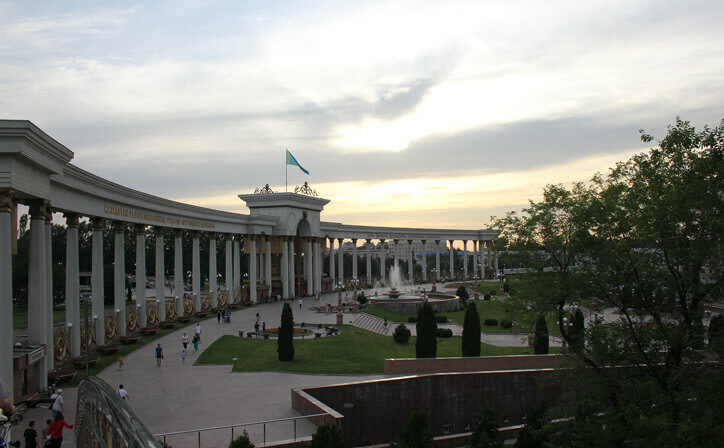 This tour will start from the central part of Almaty and during the tour you will learn more about the history and development of Almaty, while seeing its major attractions: Palace of President, Republic Square & monument of independence, Astana Square, Abai Square & Republic palace. The tour will continue to one of the oldest parks in Almaty – Panfilov park, where you will get a chance to feed the local doves– locals believe this brings you and your family prosperity and wealth. After this, we will take you to see one of the unique wooden buildings in the world – Zenkov cathedral, post which we visit the memorial of Glory & eternal flame, dedicated to the memory of the fighters who died for freedom & independence of the country. Post the tour of city we shall visit Green bazaar (Zelyony bazaar or Green market) in Almaty, on the crossroad of Zenkov and Jybek Joly, which will amaze you with its abundance of goods and colorful atmosphere of the East. The streets look like a usual oriental market where you can purchase everything: from meat, spices, fruits, textile to even furniture. For those tired and hungry during shopping, there are places to rest, drink tea and have a snack. The first prototype of the trade center appeared on its current place more than hundred years ago, and since then it has remained an important central trade point of the entire Almaty. 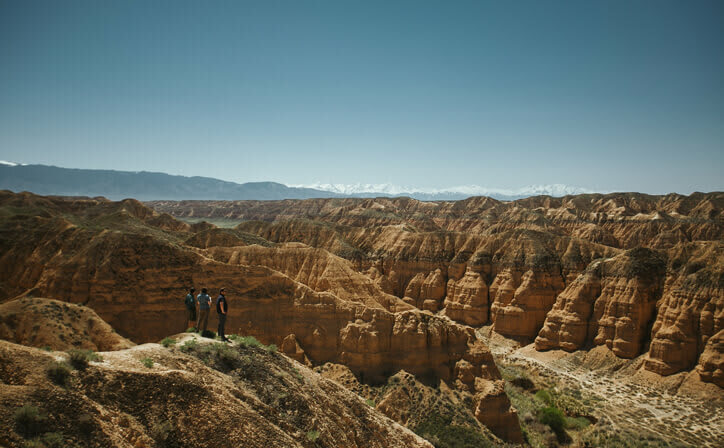 Travelers are attracted with oriental exotics of the market, opportunity to buy different sweets and souvenirs, socialize with kind-hearted and welcoming vendors and learn more about Kazakh everyday life. The tour shall continue to Rakhat chocolate factory shop, the biggest chocolate maufacturer of Kazakhstan since 1942! Hundreds of varieties of chocolates to choose from; guests can purchase famous fine Kazakh chocolate for a decent price. After city tour & sightseeing, we take you back to your hotel for an overnight stay. After scrumptious breakfast.Day is free at leisure. You can opt for Optional Tours: Kok tobe and Shopping Tour, Shymbulak Ski Resort Tour. Overnight stay in Hotel. Today, We leave the hotel to catch the flight back to India. Note: Packed Breakfast in case of early morning flight. Almaty, Kazakhstan's largest metropolis, is set in the foothills of the Trans-Ili Alatau mountains. 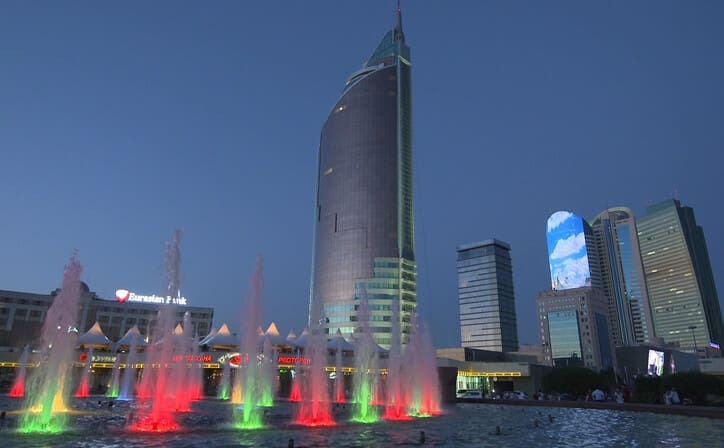 It served as the country's capital until 1997 and remains Kazakhstan's trading and cultural hub. 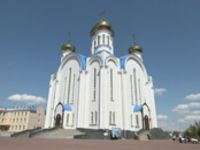 Landmarks include the Central State Museum, displaying thousands of historic Kazakh artifacts. In the center is Panfilov Park, home to the bright-yellow towers of Zenkov Cathedral, a tsarist-era Russian Orthodox church. Almaty is the former capital of Kazakhstan, and is still its largest city. 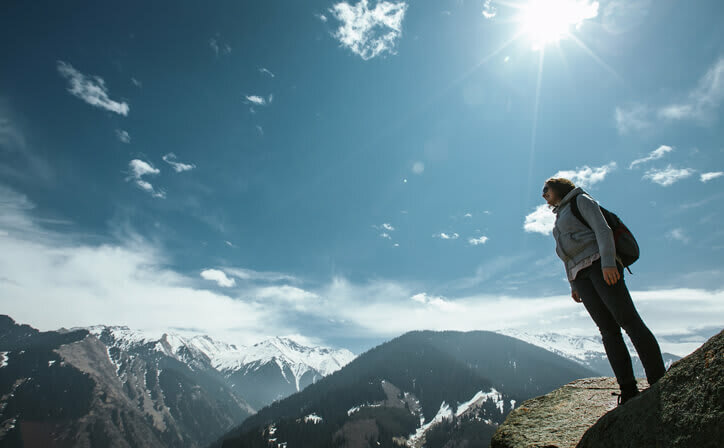 Being a financial and cultural center of Central Asia, Almaty boasts moderately-sized tourist and expatriate communities. On a clear day you can see the beautifully rugged, snow capped mountains, right at the city's doorstep to the south. The city, in general, slopes from south to north which makes navigating the streets easy. If you are traveling uphill, you're going south. There is also a small mountain range bordering the city to the east. Almaty is in the top 50 most expensive cities worldwide for expats to live in according to Mercer Human Research. Although Almaty dropped from 30th place in 2007 to 44th in 2008, it's still more expensive than Toronto, Los Angeles or Hamburg. Still, if done carefully - Almaty can be as cheap as many South American and Eastern European cities. It is a wonderful gateway to this undiscovered and distinctive country. Kazakh people are very kind and welcoming, and you will be pleasantly surprised by the hospitality. What is the best time to visit Almaty? 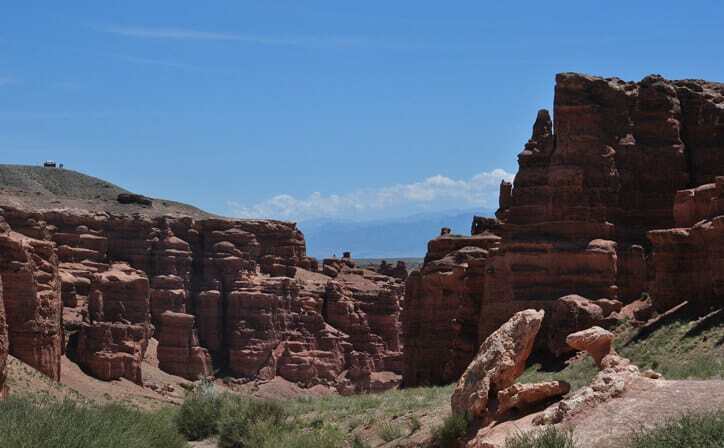 The best time to visit Almaty is between the months of June to September when the temperature remains moderate and it also a pleasant sightseeing opportunity to the tourists. April is the wettest month and snow falls during the month of December making it ideal for skating and skiing.